THERE’S MORE TO FLUENCY THAN SPEED! Fluent reading doesn’t always guarantee comprehension – but dysfluent reading pretty much always interferes with comprehension, especially beyond the primary grades. Some people have been so caught up in counting the number of words students can read in a minute that they’ve ignored the fact that fluency is much more than reading speed. In fact, too much speed can impede comprehension as well. We want our students to read at appropriate pace, but also to stop and think, to question, and to self-correct when comprehension breaks down. That’s why Phrasing, Automaticity, Using Punctuation Clues and Expression are just as important as Reading Rate. Phrasing is particularly important in fluent reading. We don’t read word-by-word; we read groups of words, or phrases. Phrases carry meaning that individual words don’t. The words in and the leave the reader wondering without the word that completes the phrase – world. Automaticity refers to fast, effortless word recognition. Choppy, hesitant reading often arises out of needing to analyze and decode too many words. We can help students develop automaticity by ensuring that they have a large repertoire of sight words. Punctuation marks are the traffic signals of reading. They tell us when to pause, when to slow down, and when to change our voices. Dysfluent readers often pause at the ends of lines, whether there is punctuation or not. They need to learn to “snap their eyes” to the next line and pay attention to the traffic signals. Expression refers to the vocal tone and modulation a reader uses. At a simple level, we speak loudly for exclamatory sentences and rise our pitch to signal a question. At a more complex level, we raise our voices for dialogue and lower it for narration. The expression a reader uses should reflect the meaning behind the words. Reading Rate is more than just speed. There’s no benefit to reading quickly if it impedes comprehension. Rate implies smooth and appropriate pacing, and allows for pauses, repetitions and reflections. READERS THEATER is the very best fluency activity for kids! Read more about Readers Theater and download a free script from HIP’s best-selling Ghost House. 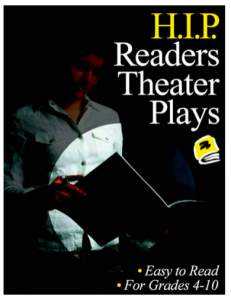 HIP’s READERS THEATER PLAYS book offers 16 scripts excerpted from HIP novels as well as a guide for teaching students to read and enact Readers Theater scripts. Get the READERS THEATER PACK with the book of plays as well as all 17 novels from which they are taken. 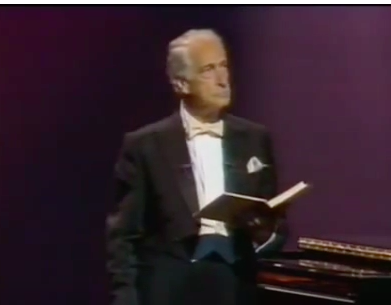 Comedian Victor Borge made a career of this kind of reading! Check out his video. ONE SENTENCE – 7 DIFFERENT MEANINGS! Try reading this sentence aloud, stressing a different word each time. Talk to the students about how the meaning changes as you change the word emphasis. Why is this important? Readers construct meaning as they read by considering which word should be emphasized. Check out the Supporting Struggling Readers Blog to read about one time-honored tradition that really doesn’t work.